Again Super robot mayhem missed out on a premier, I would like to think the invitations have got lost in the post but in reality nobody really invited us, either way the fan GI Joe film review you have been waiting for is here at last. I have read a few of the general media reviews and they all said the film stank which is great, mainly because it means the film makers have made the one for the fans of that this of stuff and not just tried to make a general population film like Armageddon which just has no place in the sci-fi/blow stuff up genre. 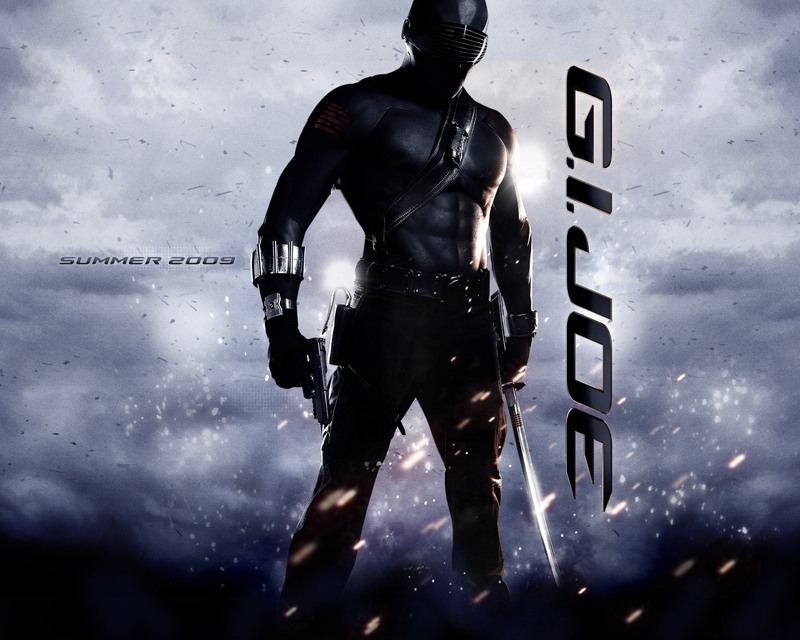 You can get a good grasp of the story and plot from the trailer but what you don’t get is how much the film makers have put into character development on this one, the main focus is on two soldiers trying to join the Alpha (GI Joe) team and how they prove them selves worthy of being put on the front line on an all important mission to save the world from the grasp of terrorists and super soldiers. You don’t need to have followed GI Joe in any way over the years to be able to get into this film and you know you will recognise someone in it with its great selection on its cast. Christopher Eccleston plays the head bad guy Destro who is an arms dealer selling weapons and defences on both sides following in his families business. Eccleston’s time playing Dr Who was shortly lived but has defiantly had a positive impact on his career. 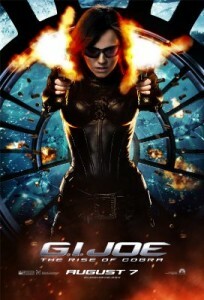 Sienna Miller was also pretty surprisingly good in this role of the Baroness, she managed to give the character a great evil personality but I think the writers messed up by making her a bit nicer towards the end, she was great while evil then got a bit soft and lost some of the appeal in the last few scenes. Where as Rachel Nichols playing Scarlett who has a bit of experience in the sci-fi movie scene after Star Trek and Alias was a great throughout. And I cant go without saying how cool it was to see Snake Eyes in a film, the character is awesome, and has been in any form being played by Ray Park gave him a few cool moves, although I wish they told you more about his origin I think they might be saving some of the character development for a sequel. Over all the movie has everything you might want for a fan flick. 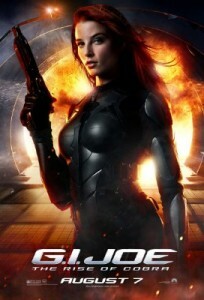 So there you have it its a well rounded film with a watch again factor and hope of a soon to be released sequel. Thumbs up!